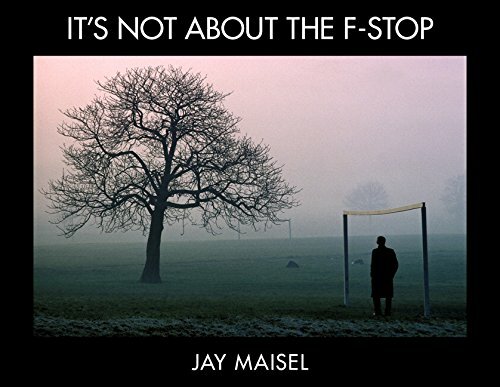 It's Not About the F-Stop (Voices That Matter) est le grand livre que vous voulez. Ce beau livre est créé par Jay Maisel. En fait, le livre a 216 pages. The It's Not About the F-Stop (Voices That Matter) est libéré par la fabrication de New Riders. Vous pouvez consulter en ligne avec It's Not About the F-Stop (Voices That Matter) étape facile. Toutefois, si vous désirez garder pour ordinateur portable, vous pouvez It's Not About the F-Stop (Voices That Matter) sauver maintenant. Jay Maisel has been hailed as one of the most brilliant and gifted photographers of all time. But he is also much more than that–he is a mentor, teacher, and trailblazer to many photographers, and a hero to those who feel Jay’s teaching has changed the way they see and create their own photography. He is a living legend whose work is studied around the world, and whose teaching style and presentation garner standing ovations and critical acclaim every time he takes the stage. In his first educational book, Light, Gesture, and Color, Jay put his amazing insights and learning moments from a lifetime behind the lens into a book that communicated the three most important aspects of street photography: light, gesture, and color. Here, in It’s Not About the F-Stop, Jay builds on that success to take you beyond the buttons and dials on your camera to continue to teach you how to “see” like a photographer, and how to capture the world around you in a way that delights, intrigues, and challenges the viewer. Each page unveils something new and inspires you to rethink everything you know about the bigger picture of photography. This isn’t a book about f-stops or ISOs. It’s about seeing. And nobody communicates this, visually or through the written word, like Jay Maisel.